There are less than 200 days to go to Rugby World Cup 2019 but already ChildFund’s Pass it Back campaign has been a huge success. World Rugby and ChildFund, the principal charity partner for Rugby World Cup, have confirmed that a record GBP £1.5 million has been pledged to ChildFund Pass it Back, strongly showcasing rugby’s values. 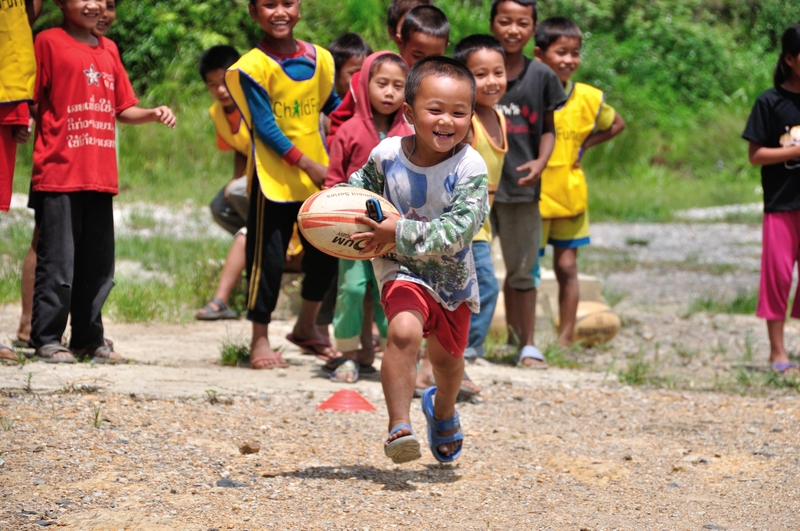 In an incredible show of solidarity and generosity of the global rugby family, as well as Rugby World Cup 2019’s worldwide commercial partners, the pledged donations will support ChildFund Pass it Back, an innovative sport for development programme led by ChildFund in Partnership with World Rugby and Asia Rugby that delivers an integrated life skills and rugby curriculum for children and young people in disadvantaged communities across Asia. Pledged funds will enable more than 25,000 children and young people from disadvantaged communities across Asia to take part in and benefit from the programme. With a focus on gender inclusion, approximately half of all players and caches to date are female. The programme’s objectives are to equip children and young people in Asia to overcome challenges, inspire positive social change and ‘pass it back’ to their communities. World Rugby Chief Executive Brett Gosper said: “Today marks 200 days marks 200 days until Rugby World Cup 2019, and we are thrilled to see this powerful demonstration of the spirit and values of rugby among fans throughout the world, which reaffirms our belief that Japan 2019 will be the most impactful Rugby World Cup. The pledged donations, which are a record for a Rugby World Cup, will also assist with emergency relief efforts in disaster.